Natalia Kaliszek and Maksym Spodyriev placed 17th at the World Figure Skating Championships in Milan. The couple, that was 14th at last year’s World Championships in Helsinki as well as 14th at the Olympic Games, has had higher hopes for their performance in Milan, especially that the top ice-dancers Tessa Virtue/Scott Moir or the Shibutani siblings were not taking part in the Milan Championships. In those circumstances 10th place should have been in our duo’s reach. Natalia and Maksym’s short dance got a score of 63.7, which was slightly lower than in Pyeongchang (66.06), but it gave them 13th place and a guaranteed advance to the final twenty. After the free dance the couple was very pleased. According to them everything went to plan. However, the technical panel after long and thorough analysis, pointed out a major mistake in their performance, which decreased the result over 12 points in comparison to their predictions. Their technical result reached only 42.19, which together with the results for other components made only 87.76 points and 19th place in the free dance, which then after the finale, translated to 17th place in the overall classification. Despite that, in the coach’s eyes, that was her protégés’ one of the best performance of the season and one detail caused huge point loss and a distant 17th place of the duo. 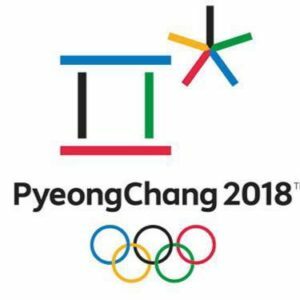 It was a very successful Olympic debut for Natalia Kaliszek and Maksym Spodyriev at The Winter Olympic Games in PyeongChang. The couple has placed 14th with the score of 161,35. Very well done Short Dance with latino feel has bagged them 14th position with a score of 66,06. Thanks to that they have progressed into the final twenty couples. 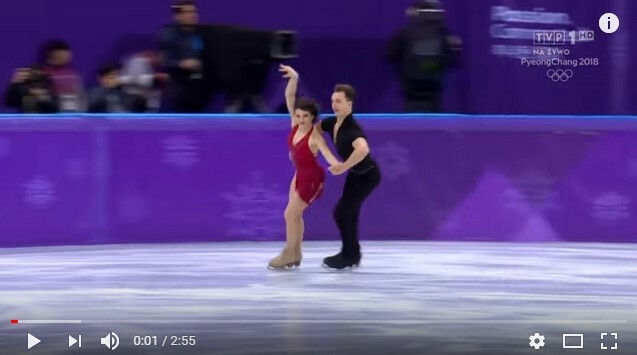 Their Free Dance got a score of 95,29 points and with the overall total score of 161,35 points, Polish couple has kept the 14th place in the classification. It is worth mentioning that they were first Polish representatives in figure skating at Winter Olympics in 8 years. Right now Natalia and Maks are getting ready for the World Championships, which will take place in the middle of March in Milan. Natalia Kaliszek and Maksym Spodyriev took the 10th place in the European Figure Skating Championships in Moscow. After the Short Dance, the duo was in the tenth place with the result of 64.80 points. Their Free Dance was rated 99.68 points, which put our representatives in eighth place. In the final classification, Kaliszek / Spodyriev pair held tenth place with a total score of 164.48 points. 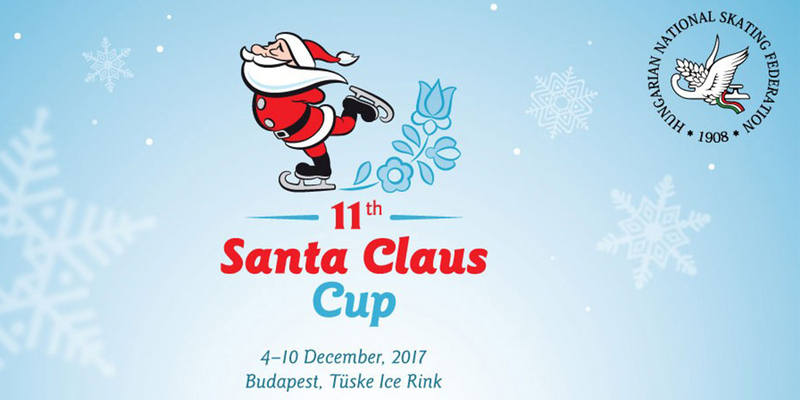 Although the place in this year’s championships is two positions lower compared to last year’s European Championships in Ostrava, the result obtained by our ice-skaters has been improved by as much as 8.46 points compared to last year. In this year’s championships to repeat the eighth place of Natalia and Maks, only 0.55 points were missing. On Saturday, December 16, Natalia Kaliszek and Maksym Spodyriev for the fourth time in their career reached for the title of Polish Champions in ice dance. 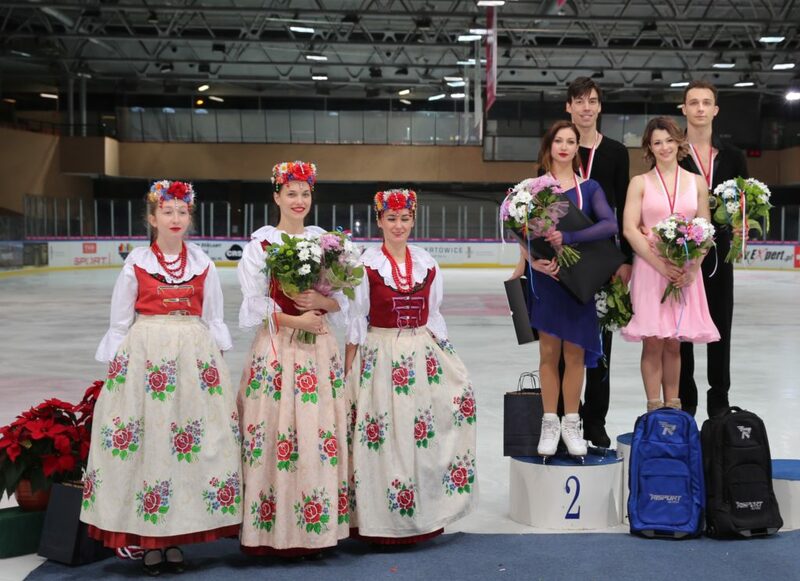 The competition took place in Košice in Slovakia in the formula of the 4 Nationals together with figure skaters from the Czech Republic, Slovakia and Hungary. 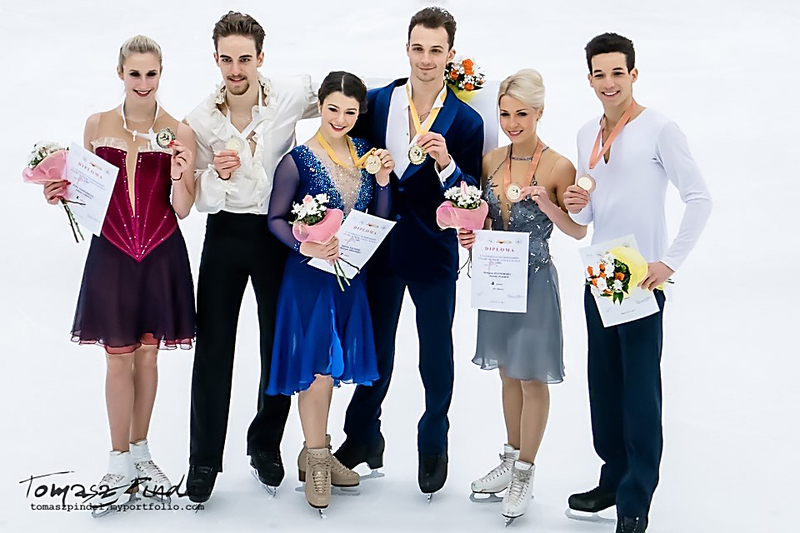 Kaliszek / Spodyriev duo was also the best in the whole competition and won the gold medal of the 4 Nationals, overtaking a pair from Hungary (Anna Yanovskaya / Adam Lukacs) and the second Polish pair (Justyna Plutowska / Jeremie Flemin). A score of 162.16 is the second result of our pair in career. 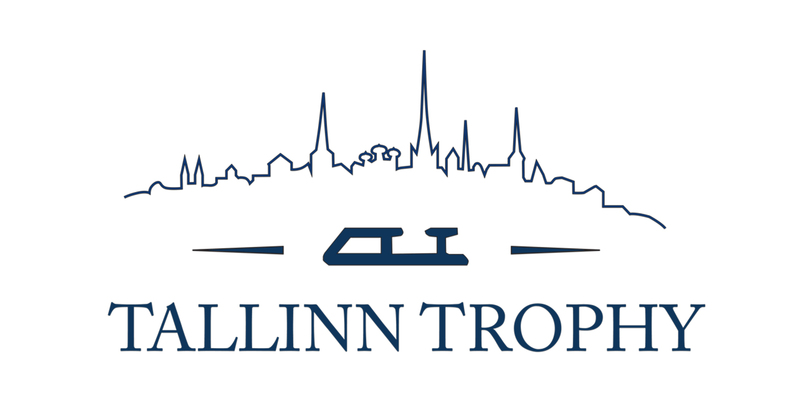 Natalia Kaliszek and Maksym Spodyriev took first place in Tallinn Trophy, the ISU Challenger series with their new personal best total score of 168,58 points. In Tallinn, the duo was at the lead of the competition after a short dance with a score of 67.94 points. Their free dance, rated at 100.64 points, sealed their first position in Tallinn Trophy. This is the best competition of the pair since the beginning of this season. Natalia Kaliszek and Maksym Spodyriev took 8th place in Internationaux De France in Grenoble, the second ISU Grand Prix competition this season, gaining 147.77 points, the Season’s Best. In France the couple presented a very good and expressive short dance, however a few small mistakes took away some valuable points from the final score. On the other hand, the obligatory rumba sequence was judged on the fourth, highest difficulty level. This gave our duo a score of 58.58 points, which was a new record of the season and placed it in 9th position. The free dance was executed with great ease and was the best performance of this season, with score of 89.19 points. This result gave our pair a promotion to the 8th place in the final classification of the competition. On November 17, Natalia Kaliszek and Maksym Spodyriev will start to compete in Internationaux De France in Grenoble – their second Grand Prix competition of this season. As our skaters declare, in France they will try to eliminate errors from Canada and improve the score (144.78 points). Their sporting competition will start with a short dance on Friday at 10:25. The next day on Saturday November 18, our duo will be competing in free dance starting at 15:30. The TV broadcast will be on Eurosport 2 channel. Natalia Kaliszek and Maksym Spodyriev took 9th place in Skate Canada competition, in the prestigious ISU Grand Prix series with a total of 144.78 points. This is the best result of Kaliszek-Spodyriev duo this season. The score could have been even better if not for the unlucky fall of Natalia in the short dance, during the twizzle sequence. This error cost a couple of 5-6 loss points and although our duo presented their free dance very well, for which they set a new season record of 88.86 points, they did not manage to make up for that loss. Eventually Kaliszek-Spodyriev was ranked 9th. It is only the third start and the second international competition of our duo, but achieved scores indicate that the form of skaters is increasing. 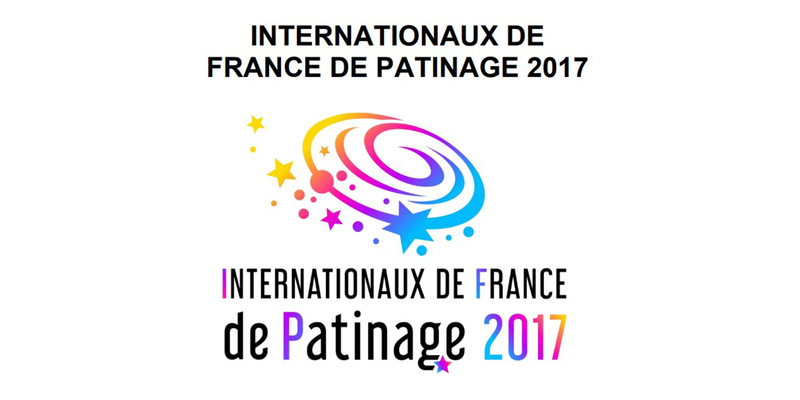 Next Grand Prix competition with the participation our representatives is Internationaux de France in Grenoble on 17-19 November. Natalia Kaliszek and Maksym Spodyriev will compete for the first time this season in the prestigious ISU Grand Prix competition – Skate Canada, that will take place on 27-29 October. Last weekend Natalia Kaliszek and Maksym Spodyriev performed in the first international competition of the ISU Challenger series – Finlandia Trophy 2017. After the short program they were on 9th place with a score of 55.60. For their free dance they were scored of 82.16 points and they were ranked 10th in the final classification. The next stop of the duo is Skate Canada (27-29.10.2017). Natalia Kaliszek and Maksym Spodyriev start the Olympic season participating in the Finlandia Trophy, the ISU Challenger series. The competition will take place from 6 to 8 October, and our representatives will perform Saturday 7th October in short dance and Sunday 8th October in free dance. This will be the first major test for our duo at the international competition this season, where they will present their new Olympic program. Natalia Kaliszek and Maksym Spodyriev, Polish Ice Dance Champions, will take part in Polish test event, which will take place in Oswiecim, September the 15th. They spent the entire July practicing in US, and then working very hard in Torun, their hometown. They spent a lot of hours working on and off ice, preparing both new programs. The first monitoring session in the season went very successful, although, still a few more adjustments and corrections needs to be done. But it looks like both of their programs have a lot of potential and hopefully judges and spectators will like them – Sylwia Nowak-Trębacka, the couple’s coach, admits. For the upcoming season, we will see the duo in a bit different style. For the Short Dance (which should be obligatory a Latin Dance Rhythm ) – they have chosen Louis Fonsi, Prince and Shakira rhythm. Such a mixture should end-up with a very dance program. As for the Free Dance, the team have prepared a composition in bit different character – a Roaring 20’s style dance, composed of Swing, Foxtrott and Charleston, but enriched with very modern arrangements and motifs of electroswing. World Championships in Helsinki: 14th place and olympic qualification! Natalia Kaliszek and Maksym Spodyriev took 14th place in the ISU World Figure Skating Championships in Helsinki and won the Olympic qualification. Torunian ice-dancers has made their plan in 100%. Just after the short dance, Natalia and Maksym took 15th place with the best result of the season of 63.37 points. On Saturday, they skated fantastically and after free dance they ended in 14th place in the final classification, with 157.15 points, ahead of the Ukrainian pair Aleksandra Nazarova and Maksym Nikitin. This is also a 2-place promotion against last year’s World Championships in Boston. 14th place in Helsinki gives our sports duo the right to take part in the Winter Olympics in Pjongchang. It is worth mentioning that this is the first Olympic qualification of Poles in this sport for eight years. Natalia Kaliszek and Maksym Spodyriev succeeded in Ostrava taking eighth place in the European Figure Skating Championships. Thus they moved up three places compared to last season, when in the European Championships in Bratislava they took 11th place. Polish dancers already in the short dance acquired a new personal record and with a score of 63.35 points occupied the 10th place. Their free dance was another record with 92,67 points – which provided them promoted to eighth place in the final classification of the competition. This is the best result of Polish representatives in figure skating for ten years. Now Kaliszek and Spodyriev are preparing for the most important performance of the season – the World Championships in Helsinki (March 29 – April 2), in which they will fight for Olympic qualification. Natalia Kaliszek and Maksym Spodyriev won the gold medal in the competition Mentor Toruń Cup 2017. They took the lead after the short dance, obtaining 69.30 points. In free dance they confirmed their superiority over their rivals gaining 99.46 points. They ended the competition with a total score of 168.76 points thus setting their new personal record. Natalia and Maxim after winning the Polish Championship in December, confirmed that they are in the form before the European Championships in Ostrava, where the participants will be eligible for Olympic qualification. Excellent performance of Kaliszek-Spodyriev in Four Nationals Championships. The representatives of Axel Torun won gold in Polish Championships and Four Nationals Championships in Katowice. A pair finished the competition with a final result of 154.24. After short program Natalia Kaliszek and Maksym Spodyriev were the leaders in ice dance competition, with a score of 60.55 points. Their rivals were skaters from Slovakia, the Czech Republic and other Polish pair. The free dance of Natalia and Maksym went very well and they maintained the first position winning the gold. The performance in Katowice is a very good summary of the struggles of our representatives in the skating competitions so far and confirmation that it is the best pair of ice dancing in Poland. Natalia Kaliszek and Maksym Spodyriev took 7th place in the last qualifying competition of the Grand Prix – NHK Trophy, in Sapporo (Japan). Our representatives after the short dance with a score of 59.92 occupied sixth place. On the second day of competition, for their free dance they gained a score of 88.01 points and with total score of 147.93 they finally took seventh place. It is worth noting that in Japan, our representatives competed with the world’s best dancers on the ice, and their performance aroused great enthusiasm among the Japanese audience who spontaneously responded with applause. The debut of our representatives in both competitions of Grand Prix can be considered successful. This is the first, after eight years, start of Polish ice dancers in the prestigious Grand Prix, which brings together only the best skaters in the world. Thanks to the points earned during the Grand Prix our team advanced to 18th place in the world ranking, and to 9th place in the ranking of the season among all ice dancers around the world. Polish Ice Dance Champions, Natalia Kaliszek and Maksym Spodyriev, after a successful performance in the Cup of China, are preparing for the last Grand Prix competition – NHK Trophy in Sapporo, Japan. A personal record of total score in Cup of China of 150.78 points, allows to have high hopes for their performance in Japan. Natalia Kaliszek and Maksym Spodyriev took a very good 5th place in a prestigious competition of the Grand Prix, Cup of China with a final result of 150.78 points. Polish ice dancers have improved thus their personal record from last year. Despite the difficulties and health problems before the competition, the skaters presented two correct and strong technical programs. Both gathered a lot of positive feedback, but there are also some things that still need improvement. The next competition for which the Polish ice dancers will train next week is the Japanese NHK Trophy in Sapporo, which also belongs to the Grand Prix competition. We are pleased to inform that we have just released a promotional video of Natalia Kaliszek and Maksym Spodyriev – currently the best ice dance pair in Poland. The film is a compilation of the most interesting and best-evaluated performances at international sporting events, including the World Championships and European Championships. It also shows a fragment of everyday life of Natalia and Maks, which consists of daily workouts at the ice rink, gym and ballet hall. 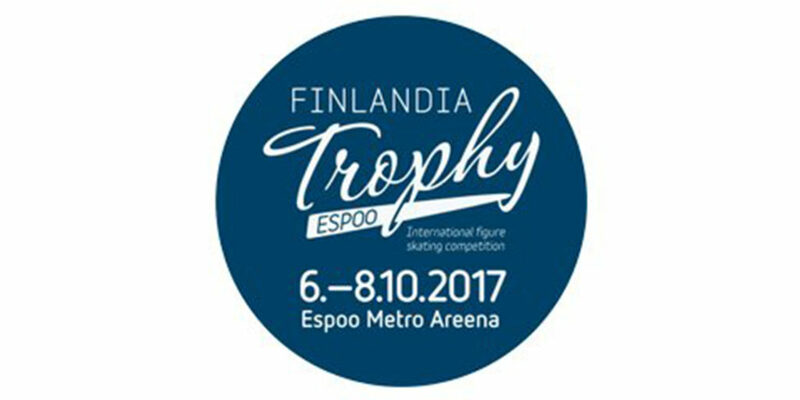 Last weekend (8-9 October) Natalia Kaliszek and Maksym Spodyriev took 5th place in the final classification of the Finlandia Trophy 2016 within the ISU Challenger Series. A pair won a total of 147.46 points, thereby improving their score from Bratislava (146.86 points). This weekend Natalia and Maksym will compete in the next contest of Challenger Series ISU – Finland Trophy. The performance of our representatives will be broadcast live on internet: Saturday, October 8th, in the short program at 5:00 PM (4:00 PM in Poland) and in free dance on Sunday starting from 4:00 PM (3:00 PM in Poland). Natalia Kaliszek and Maksym Spodyriev will compete in the Ondrej Nepela Trophy in Bratislava within the ISU Challenger 2016/2017. 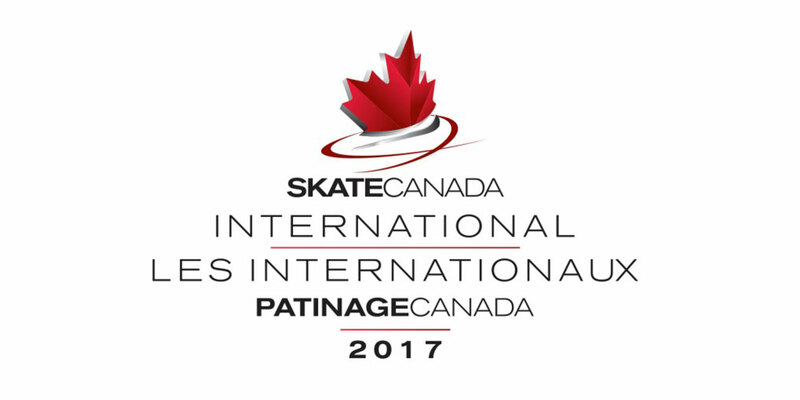 The competition will begin on September 29th, and our pair will perform on Friday, September 30th in the short dance (hr. 15.00 – 17.20) and on Saturday October 1st in free dance (h. 17.00 – 19.30). We invite you to watch the competition on-line. Already during next weekend (10th -11th September 2016) on Warsaw TORWAR a competition is opening a new skating season. A pair Natalia Kaliszek and Maksym Spodyriev are going to start on Saturday around 6.05 pm in the short dance, presenting the new program to the blues music and the hip-hop. However the Sunday performance in the free dance, based on the music from the film ‘Dirty Dancing’ will be taking place around 1.30 pm. Both programs were worked out specially for the new season and with them our pair will go to the ISU Grand Prix in China and Japan, as well as to the ISU European Figure Skating Championships 2017 in Ostrava. 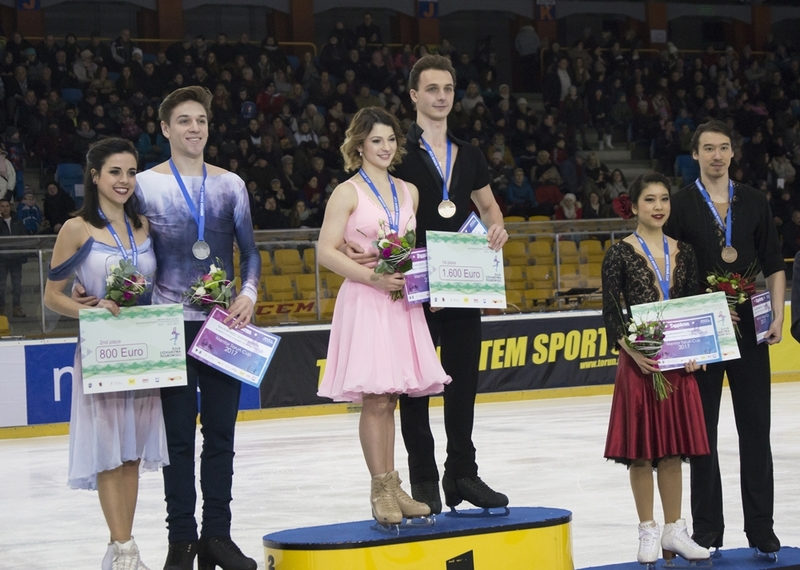 Open Mazowsze Championship 2016 – a Competition Opening the Season, are not ticketed, so it is possible to seat on TOR-WAR podiums for free and watch the beginning of the new skating season. We will include reports from these starts on our website and FB. The best present Polish ice dance pair Natalia Kaliszek and Maksym Spodyriev received an invitation from ISU to two starts in the ISU Grand Prix cycle. It is a maximum amount of GP competitions in the figure skating, which is possible to take part in the sequence of one season. ISU GP in figure skating is a cycle of 6 championships and the final. Natalia Kaliszek and Maksym Spodyriev will take part in GP of China (Audi Cup of China in Beijing) on 18th -20th November and in GP of Japan (NHK Trophy in Sapporo) on 25th -27th November. A participation in the cycle of ISU Grand Prix is a huge distinction, because it is only for those being invited by ISU – International Skating Union. It is necessary to work hard not only with the sport results – only a world leaders are allowed to take part, but also with an artistic image. A successful performance of Polish ice dance pair Kaliszek-Spodyriev in GP can earn the points necessary for the world ranking of skaters and, what is behind it, a good setting on the European championships and the World championships. The last Polish accent in the ISU Grand Prix was 8 years ago a performance of a soloists Anna Jurkiewicz, a skater who now lives and trains in Norway. The first Polish pair Natalia Kaliszek and Maksym Spodyriev will enroll in the history of the ice dancing. It concerns the dance to the music of the foxtrot, which the pair, under direction of a coach Sylwia Nowak-Trębacka, for the first time danced in a short program of the season 2015/2016. 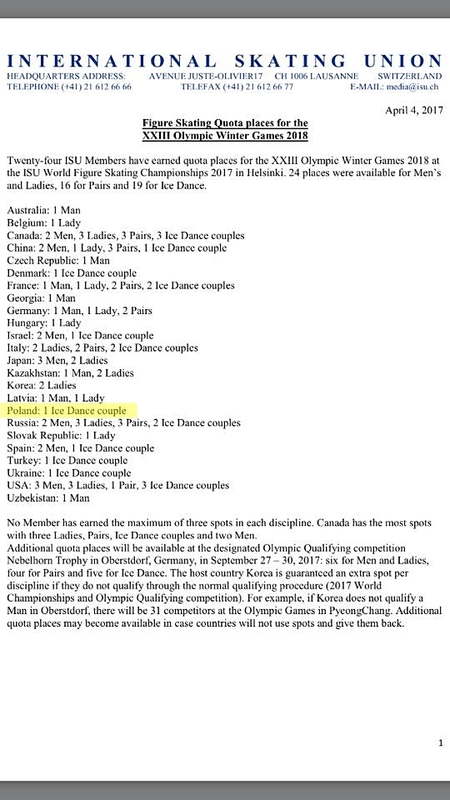 The ISU (International Skating Union) Technical Committee of the ice dancing with its Director Kristina Regöczy, has just submitted official notifying, that in the opinion of all members of the Committee and international judges, a part of the short dance of Polish pair to the music of foxtrot is meeting all conditions and requirements in order to become a pattern dance. It means that soon all ice dancers in the world will be dancing the foxtrot of Natalia and Maksym. What gained a recognition of the Committee is an excellent reflection of a traditional character of the foxtrot from the parquet, the lightness pleasing the eye and the dance-ness of steps, the technical difficulty, and of course its model execution. The foxtrot of Polish ice dance pair, which is supposed to be found on the list of pattern ice dances, was worked out by a coach Sylwia Nowak-Trębacka and for the first time executed by our representatives in the passing season, on international competitions in Oberstdorf in the September 2015. Now what remains is only a pleasant duty of naming this dance. This name, alike Ravensburger Waltz, Finnstep soon will be officially used in the world of ice dance.